Many parents, siblings and friends have launched genuine social media appeals using the hashtag #MissingInManchester to try to find their missing loved ones after the Manchester attack. But some images circulating online have been identified as fakes. 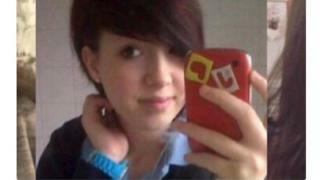 A photo of 17-year-old Jayden Parkinson appeared in a collage of people thought to be missing following the Manchester attack, but her mother Samantha Shrewsbury tweeted that the photo was of her daughter who was murdered four years ago. She told the BBC that since the appearance of her daughter's photo in the collage her phone hasn't stopped ringing. "People keep telling me that Jayden's picture was being circulated as one of the Manchester attack victims. It is horrible to see her picture being used in this way. "I feel sorry for the genuine parents of missing children." She added. Mexico-based journalist Andrea Noel also had to deny that she was missing after her picture appeared in the same collage. Another Twitter user shared the following image of his "little brother Frank" saying he was missing after the concert. However, some who commented on the post pointed out that the image was taken several years ago and was of a young boy who modelled for a fashion line for people with Down Syndrome. A Google reverse image search confirmed these comments. Another widely retweeted image belonged to a user who claimed his brother and sister were missing. The image shared appeared to be old while another Twitter user claimed it was of younger version of himself adding: "I assure you that I am alive and well." YouTuber TheReportOfTheWeek was also said to have been missing after the attack. He has since posted a YouTube video saying: "Some people propagated a certain rumour claiming I was a victim of an attack in Manchester at the Ariana Grande concert. I'm just making this video to let you know I am indeed alive well and okay here in the United States, not the UK. This was unfortunately just an effort done by various trolls..."
2. Were reports of a gunman outside the Royal Oldham Hospital true? There were online reports of a man with a gun outside the Royal Oldham Hospital that originated from a Facebook post which had been shared more than 13,000 times. The Facebook user maintains that she had repeated what she had heard and believed it to be true. A number of news publications also reported the line but Greater Manchester Police and Oldham Council refuted the reports. 3. Did the Holiday Inn take in unaccompanied children? Multiple posts on Facebook and Twitter asked those looking for their missing loved ones to phone the Holiday Inn hotel which was said to have 50 unaccompanied children present. But a representative of the InterContinental Hotels Group told the BBC that reports of unaccompanied children at the Holiday Inn hotel were "incorrect". It continued: "The hotel teams at Crowne Plaza Manchester City Centre and Holiday Inn Express Manchester City Centre - Arena have both been working closely with the emergency services throughout the night, supporting members of the public who needed immediate refuge... a number of other Holiday Inn hotels in the wider area also offered those impacted a place to stay - as the wider Manchester community did - through social channels." Several accounts also shared images of singer Ariana Grande, claiming that she too had been injured during the attack. But other users were quick to identify the photo as being taken on the set of the 2015 film Scream Queens. The singer is thought to be physically unhurt but has said she feels "broken".